The greatest story ever told. Of course, I'm talking about that of the sibling rivalry between Snow Miser and Heat Miser as chronicled in the very best Christmas special ever, "The Year Without A Santa Claus." And no, I'm not talking about the eminently forgettable John Goodman/Delta Burke live action craptacular of a few years back. Simply put, Rankin & Bass' 1974 stop-motion animated version is the best. No comparison. Sure Charlie Brown's Christmas was cute, and Frosty's was fun, and Rudolph will always be ... well Rudolph. But the best, hands down, is "The Year Without A Santa Claus." Interestingly, the show would seem to be ahead of its time environmentally. 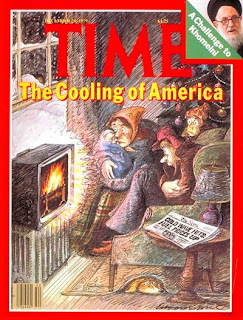 Although, back then --1974-- we were being warned of the looming ice-age, and now of course it's the dreaded global warming. Hell, local meteorologists can barely tell me if it's cold or warm -- usually warning of a 50% chance of rain (gee, thanks for the heads up). Anyhow, there it was 1974 and Mr. Heat Miser was boldy laying claim to being the "green" Miser brother. Maybe that was just to make us all forget he was also Mr. Heat Blister. Still suffering through Seattle's latest frigid little ice age, I have to agree with Mr. Heat Miser that "Some like it hot, but I like it really hot!" The 12 Days of Christmas Videos: Chanukkah?